South Florida attracts bikini babes and hunky dudes from all around the world. Whether you're coming down to enjoy the scenery or strut your stuff, here are a few tips and resorts that offer workout vacations to help you get that ultimate beach body - all while enjoying the sun, sand and fun. This location makes for the perfect fitness retreat! Open to all ages and skill levels, try out the newest fitness craze: stand-up paddleboard yoga classes. While parents get their balance on, kids can learn to surf with free lessons from local professional instructors. Classes ($40 per class) are held on Saturday mornings in the Marriott's oceanfront pool. For more info visit: MarriottStantonSouthBeach.com. The 18-room boutique hotel, located in the trendy South of Fifth neighborhood, has teamed up with NFit Life, a fitness lifestyle group to offer a water resistance core training class. Get a great workout and a golden tan, all at the same time. 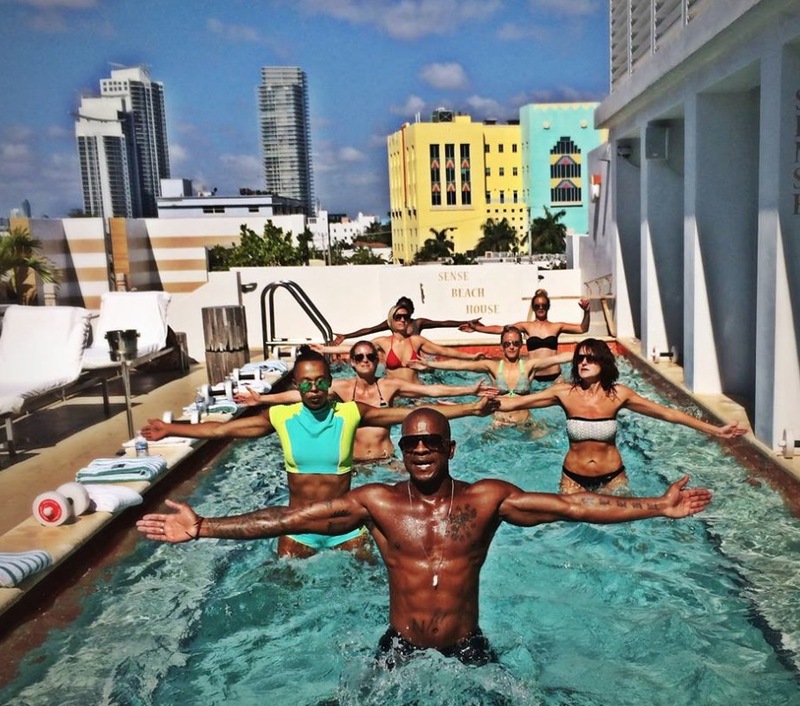 Classes ($30 per person) are held on Saturday mornings on the rooftop pool. For more info visit: SenseBeachHouse.com. Kick that booty into gear with a military-inspired bootcamp that will make you feel the burn. 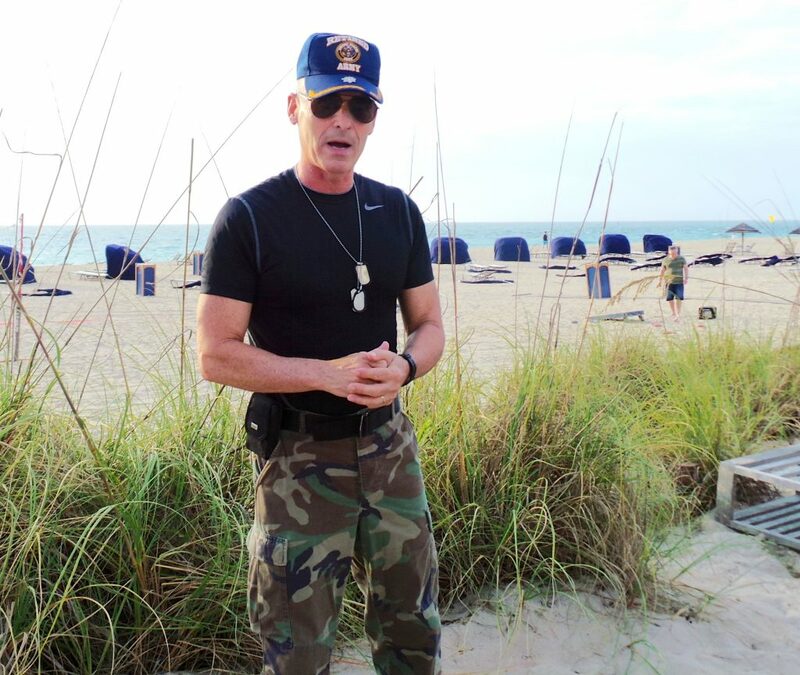 Book the "Stay Fit in Fort Lauderdale" package and receive one fitness class of choice, one intense beach bootcamp session and a 30-minute health and fitness consultation. Rates start at $269 per night. more info visit: HarborBeachMarriott.com. Find your inner bliss on the resort's serene Atlantic beachfront property, with the guidance of certified yoga instructors. Acqualina Spa by ESPA and YOGiiZA, the South Florida-based lifestyle brand developed by passionate yoga practitioners Dawn and Mark Oliver, have teamed up to offer one-on-one yoga classes. Classes ($135 for a 75-minute session) are taught on the beautiful beachfront lawn or in the tranquil ESPA relaxation room. It's a great way for people to turn a weekend away into a workout vacation. For more info visit: AcqualinaResort.com. With the atlantic ocean as your backdrop, join the fitness instructors at The Ritz-Carlton on the Grand Lawn for an intense workout every month during the full moon. Watch the YouTube video below and for more info visit: RitzCarlton.com.